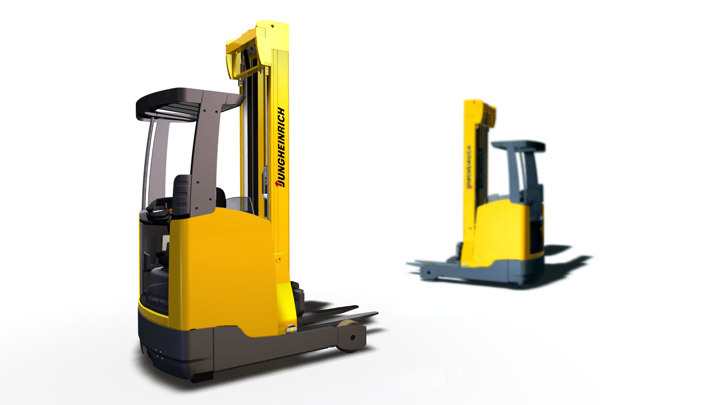 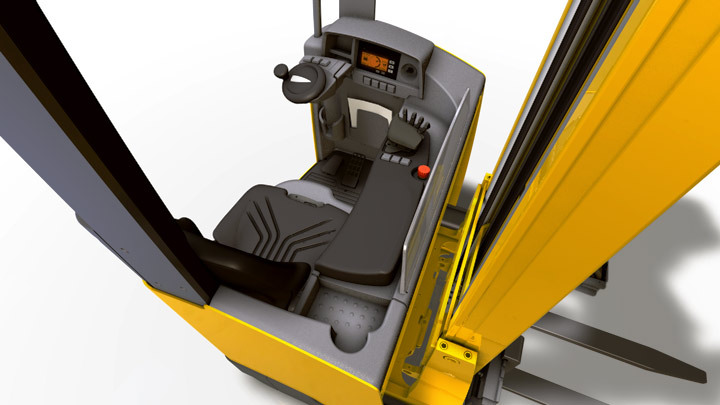 Andreas Knie develops the design of the new reach truck with Jungheinrich and creates the CAD surfaces of all shaped interior parts. 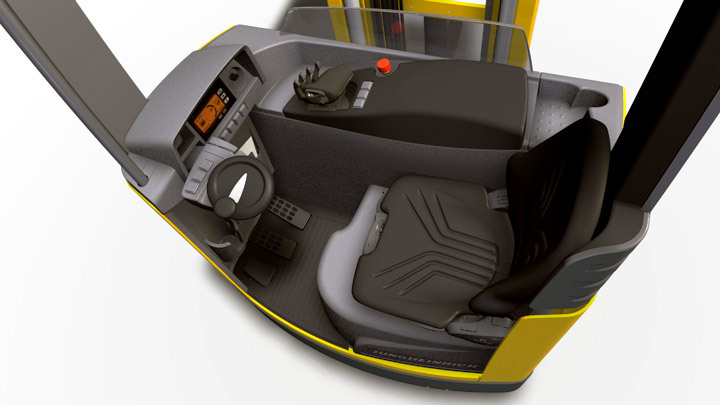 David Samways is responsible for the production and assembly-appropriate implementation in the interior and produces production-ready CAD models including structural and assembly details. 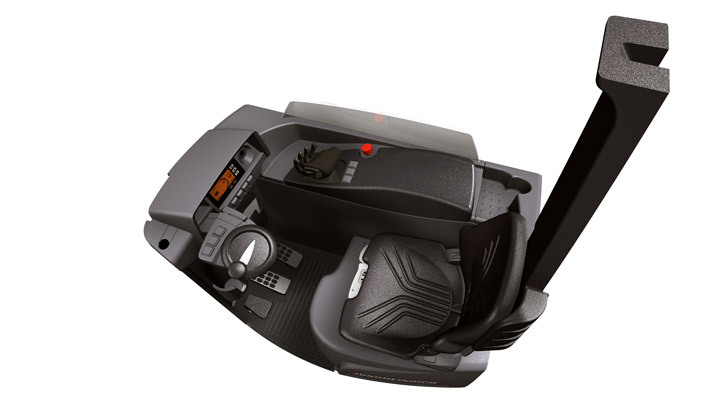 The result is a high-quality vehicle interior, in which almost all components can be mounted without tools and removed for maintenance and service.